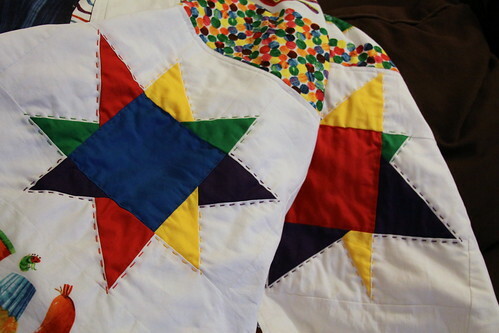 Last night at FNSI I worked on some hand quilting on my Hungry Caterpillar quilt. It already has some stitch in the ditch and straight line quilting, but I wanted to try some hand quilting with some Pearl cotton around the stars. Two stars down, two to go.